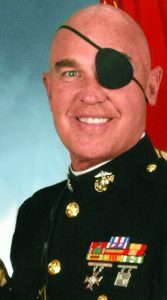 Just after midnight March 3, 1968, on Hill 146 in Quan Duc Valley, Vietnam, Marine 2nd Lt. Clebe McClary and his recon team, ambushed and outnumbered 12 to 1, fought a fierce battle that would forever change his life — and tens of thousands of others over the following decades. Although Clebe didn’t know it at the time, the Lord had been preparing him since birth to do His work and become living proof that He is always faithful. Reconnaissance or “recon” Marines have one of the most dangerous jobs in wartime — infiltrating enemy territory to monitor and report troop numbers, locations, weapons, and movements. For his 19th recon patrol, Clebe and his team were tasked with supplying intelligence in preparation for a large operation involving thousands of troops. Two days before the ambush, choppers dropped Clebe’s team atop Hill 146, which gave them a strategic vantage point to observe the enemy. To prepare his position, Clebe cleared a punji stake pit (a booby trap filled with sharpened bamboo stakes) and dug out a seat near the rim. His radioman and corpsman dug a fighting hole to his left, while three other men dug one to his right. The remaining eight men set up about 50 yards behind him in a large crater blasted by a 2,000 pound bomb. The men spent the next two days quietly watching for enemy activity. Just after midnight, Clebe thought he heard a noise at the bottom of hill. As he left the pit to check on the Marines to his right, a group of North Vietnamese Army (NVA) soldiers attacked with small arms fire, grenades, and satchel charges. Struck in the neck and shoulder with grenade shrapnel, Clebe returned to the punji pit and radioed for artillery and air support. Following up the initial attack, a dozen NVA charged up the hill with grenades and satchel charges, pins already pulled for a suicide attack. An enemy soldier suddenly appeared in front of Clebe, but before he could get off a shot, Clebe dropped him with a blast from his shotgun. The enemy fell into the punji pit with Clebe and the suicide satchel charge exploded, hurling both of them through the air. Reaching back for his shotgun, Clebe discovered his left arm had been blown off below the elbow. A grenade then landed in the fighting hole to Clebe’s right, killing one of his men and fatally wounding another. To Clebe’s left, his radio operator and corpsman were both unresponsive. In the bomb crater to the rear, five of his men were wounded. To ward off another attack, Clebe tried to pull the pin on a grenade with his teeth but couldn’t because they’d been shattered by a grenade blast. Clebe was then hit by another grenade that blew out his left eye, ripped open his right hand, and burst both eardrums. As he bolted to the bomb crater for cover, another grenade shredded his legs, slamming him to the ground. Just as an NVA soldier was about to shoot him in the head, one of Clebe’s men shot the soldier, deflecting his aim and saving Clebe’s life. Throughout the ordeal, Clebe remained conscious and kept shouting commands and encouragement to his men. As the NVA soldiers retreated down the hill to regroup, Clebe directed a team member to radio for a helicopter evacuation. Initially, the pilots said they couldn’t land until daylight because of rain and fog, but when Clebe told them they’d be dead by then, they decided to try after all, and two choppers arrived to retrieve them. Just after the second chopper lifted off, the hill was overrun by 150 NVA soldiers. 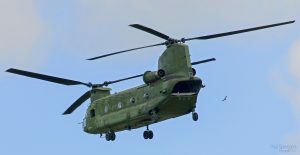 The rescue had taken place with only minutes to spare! Of Clebe’s 13-man team, 10 were dead or wounded. The team was flown to a nearby hospital, where Clebe and the other survivors were rushed into surgery. Clebe barely hung on to life and his long, agonizing recovery began. Patrick Cleburne “Clebe” McClary III grew up near Georgetown, South Carolina, on a 10,000 acre plantation, where his father served as superintendent. The McClary family had owned Friendfield Plantation for a few years before the Great Depression, but sold it when hard times hit. Clebe’s father stayed on as caretaker, and Clebe enjoyed an adventurous boyhood hunting, fishing, and horseback riding on the property. Clebe’s father taught him a strong work ethic and other lessons that developed strong character, but while the McClarys were moral and churchgoing, they didn’t yet know what it meant to be born again. Theirs was a cultural faith rather than a personal one. It wasn’t until years later that Clebe and his family would come to know the Lord as Savior. Clebe was a star athlete in high school, winning a South Carolina high school championship in the mile run, among other awards. He excelled in college sports too, so it seemed natural for him to pursue a career in coaching, and after graduation, he landed a job as a high school coach. It was during his time there that he met his future wife, Deanna Fowler. As they spent time together, their love grew, and before long they announced their engagement. Soon after, however, Clebe witnessed a scene that was to change the course of his life. When he saw college students burning an American flag, he was upset and decided it was time for him to serve his country. Deanna strongly objected, but he insisted, believing it was his duty. 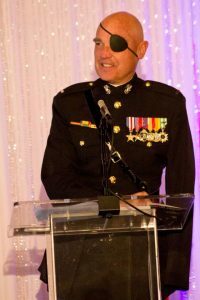 Clebe resigned from his coaching job and enlisted in the Marine Corps because of its reputation for excellence. Little did he know at the time that the Corps’ motto “Semper Fidelis” (always faithful) would foreshadow the Lord’s, and Deanna’s, faithfulness to him. After arriving at Parris Island for boot camp, he was selected for Officers Candidate School, sent to Quantico for training, and commissioned a second lieutenant. 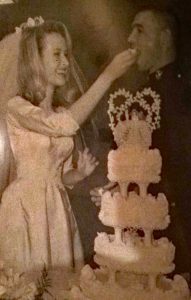 The couple married on Easter Sunday 1967, and in October, he left for Vietnam. Unlike Clebe’s upbringing, Deanna’s didn’t include much of a church background, and her heart became somewhat calloused to spiritual things, partly because her father was an emotionally abusive alcoholic. He came to know the Lord later in life, however, and was wonderfully reconciled to his family. About a month after Clebe was wounded, he was sent back to the U.S. to continue his recovery. 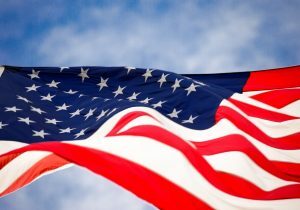 One day while on leave at home in South Carolina, he heard about an evangelistic crusade sponsored by the Fellowship of Christian Athletes that would take place that evening featuring legendary Yankees second baseman Bobby Richardson and former Miss America Vonda Kay Van Dyke. 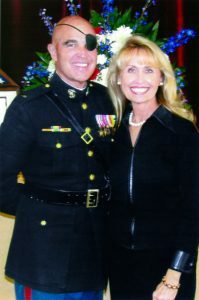 Bobby Richardson was one of Clebe’s heroes, and of course, any Marine would want to see a former Miss America, so in spite of the pain from his still-healing injuries, he attended the crusade, with a reluctant Deanna in tow. That night, Bobby and Vonda Kay shared what God had done in their lives. The evangelist Billy Zeoli explained that we are separated from God by our sin, that Jesus had paid the penalty for our sin on the cross, and that He is eager to forgive us and bring us into a right relationship with Him. But in order to receive that forgiveness, we must humbly admit our sin and ask His forgiveness. Billy somberly added that everyone is just one heartbeat away from heaven or hell, and that if we are in the “maybe” category, we are actually saying “no.” As close to death as Clebe had been, and with all the death and dying they had witnessed around them in the hospital, they realized that if they were to die, they would be eternally separated from a gracious and loving God, who gave His life that we might be forgiven and in Him experience abundant life. No longer content with “maybe,” they said yes to Jesus, and their lives have never been the same since. Clebe and Deanna were spiritually transformed by the Holy Spirit working in them. Meanwhile, Clebe’s physical healing was progressing at an astounding rate. In just a month, his face had healed so well that his planned plastic surgery was deemed unnecessary. And while Clebe’s body was on the mend, Deanna forgave her father for his mistreatment of his family. Just a few months after Clebe came to the Lord, he was asked to share his testimony at a Billy Graham Crusade at Angel Stadium in Anaheim, California. 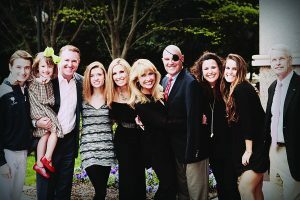 The video clip is available on the Billy Graham Library Facebook page at bit.ly/Clebe-McClary. The event opened the door to a call to evangelism. 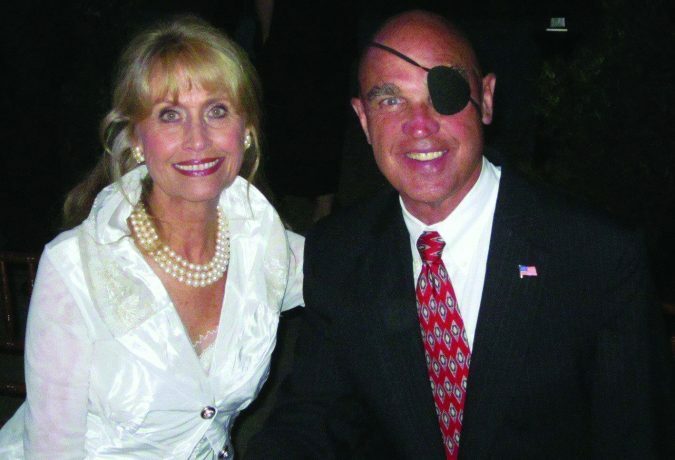 Clebe soon felt called to serve the Lord full time, so he and Deanna opened a coffeehouse ministry and, in 1973, they formed a full-time evangelistic ministry called the Clebe McClary Evangelistic Association. Over the years, he and Deanna have ministered in all 50 states and 30 countries, speaking to hundreds of thousands and leading innumerable people to Christ. Even today, at 75, Clebe is still going strong, speaking around 100 times a year. In his preaching, Clebe warns against the dangers of cultural Christianity — the empty tradition that promotes the idea that attending church, being “good,” or being the child of a believer makes someone a Christian. He remembers that as a youth, every week after church, a well-meaning elderly woman would tell him what a fine young Christian boy he was. And he believed it. Clebe and Deanna’s soulwinning ministry is responsible for one of the most amazing conversion accounts of the 20th century. Evangelist Harold Morris spent 20 years of his life traveling around the country sharing his powerful testimony of deliverance from sin, leading thousands to salvation. But his salvation came later in life, after spending years in prison. In what is clearly part of a divine plan, the Lord had placed Clebe in Harold’s life many years before, when they were teammates in high school. Unfortunately, while Clebe left school to begin a productive life, Harold fell in with the wrong crowd, unknowingly becoming the wheelman in a robbery gone wrong. As Harold revealed in his book Twice Pardoned, he didn’t know his partners would shoot the store owner while he waited in the getaway car. At the trial, Harold’s accomplices claimed he was the one who pulled the trigger. The jury believed their story, so Harold was the one convicted for the murder. In 1974, Clebe and Deanna visited Harold in prison. When Clebe and Deanna presented the gospel, Harold responded wholeheartedly. For years after, while still a prisoner, Harold participated in a program in which he spoke in high schools, sharing the gospel and warning youth not to follow his path. After new evidence came to light, he was paroled in 1978 and received a commutation in 1981. Thus, Harold was twice pardoned: first by Jesus and then by the State of Georgia. After being set free, Harold continued as an evangelist for decades, even through a bout with throat cancer that would have left him without a voice had he not chosen a radical option to retain his damaged larynx. For the remainder of his life, in order to eat, he had to insert an 18-inch tube down his esophagus, past his larynx, to pour in a liquid form of nourishment. That’s the price he chose to pay to continue to preach the Good News! The alternative was to have his larynx removed, which would have permanently silenced him. Such was his love for Christ. His ability to motivate others comes from the Lord, of course, but is demonstrated through his determination to overcome his devastating injuries. Within months after his return to the States, he had received his driver’s license, and for years when his family lived on the road in a 1964 Trailways bus, he did much of the driving, an amazing feat for someone who has lost an eye, an arm, and partial use of the remaining hand! And just a few years ago, he took up golfing, which he enjoys for ministry opportunities as well as personal recreation. Clebe’s passion for life is apparent in his optimism. Deanna said he has a consistent “attitude of gratitude” and is thankful every day for the abilities he has and never complains about what he has lost. He still has three rusty pieces of shrapnel near his good eye that could shift at any time and blind him completely, yet he keeps on serving the Lord enthusiastically. Some wonder why Clebe wears an eye patch. In Living Proof, Clebe explains that he used an artificial eye for a few years but found it uncomfortable, and it seemed to make others uneasy looking at it, so he’s been wearing the eye patch ever since. His daughters were often asked, “Is your dad a pirate?” Their reply: “No, he’s a hero!” The common question became the inspiration for Tara’s new children’s book, Is Your Dad a Pirate?. Tara is also the author or co-author of several other books. See bit.ly/TaraMcClaryReevesBooks. 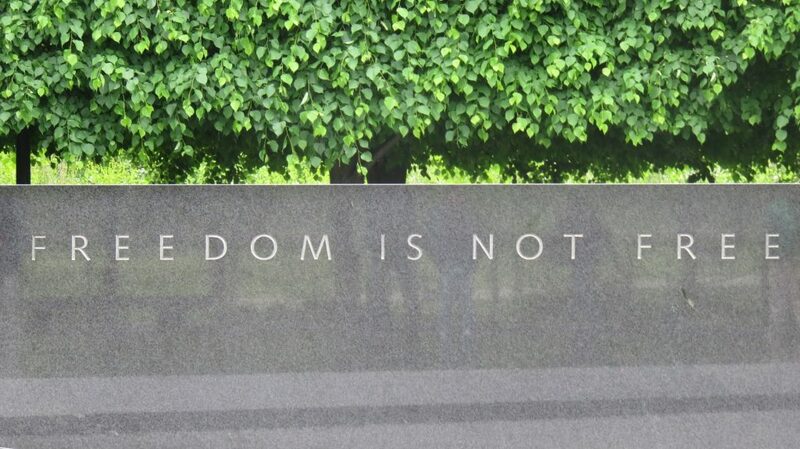 During the Vietnam War, 60 to 80 percent of girlfriends and wives left their men when they suffered a traumatic injury. But even before Deanna became a Christian, she was determined to be faithful to her husband, despite how difficult it was to help him through his recovery. Providentially, Deanna had been in nurse’s training while Clebe was deployed. Her medical knowledge, steadfast love, and dedication proved critical to his recuperation — more evidence of the Lord’s faithfulness. Clebe and Deanna have served side by side for nearly 50 years preaching the gospel, each offering their gifts to the Lord for ministry. Clebe is a gifted public speaker and preaches to large crowds. Deanna prefers to work with people one-on-one behind the scenes. As Clebe eagerly explained, Deanna is a dynamic partner and absolutely critical to the success of their ministry. They complement each other perfectly, as she is able to reach people that he can’t. God has given her a one-on-one role in the ministry. “Backstage, I’m out observing and watching and seeing and discerning the real needs of the people who are listening, and that’s where I’ve been able to step into the arena quietly and be able to minister where God has given me my calling and my mission,” she said. And although she prefers to stay in the background, she is a gifted and accomplished singer. 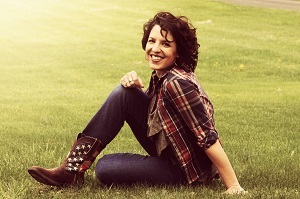 In fact, in 1983, both she and Amy Grant were nominated for a Dove Award in the same category. Amy won the award, but Deanna has no regrets because she has always kept her family and ministry as top priority. Through the years, Clebe and Deanna have had their share of challenges, but their marriage has grown even stronger over the years, and they recently celebrated their 50th anniversary on Mar. 26, 2017. Their faithfulness to their vows is based on the character of the One in whom faithfulness originates — the Lord. Clebe and Deanna McClary have reflected His faithfulness through a dedicated life of service to Him and to each other. In spite of the physical pain and mental anguish Clebe suffered from his extensive injuries, he kept his sense of humor. Not long after his recovery, he went on a fishing trip with a double-amputee friend. On the way back in, they covered their stumps with ketchup to see how the folks back on shore would react. When they arrived, they told several onlookers that the sharks had been bad that day. The practical joke worked: people screamed and passed out all over the docks! The McClarys’ Christian heritage has passed down to a second and third generation. Clebe and Deanna have two daughters. Their firstborn, Tara McClary Reeves, is wife of Lee Reeves and daughter-in-law of legendary NFL coach Dan Reeves, who played in or coached nine Super Bowls. Their youngest daughter, Christa McClary McElveen, is married to Dr. John McElveen. In addition, they have five grandchildren. The close-knit family attributes their stability to Clebe and Deanna’s commitment to the Lord and to each other. Pfc. 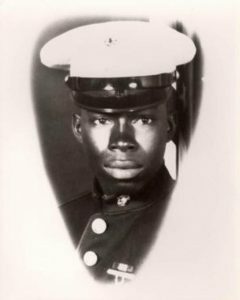 Ralph Johnson died when he shielded fellow Marines from a grenade. He was posthumously awarded the Congressional Medal of Honor, and the Navy’s newest destroyer has been named after him. When a grenade landed in Pfc. Ralph Johnson’s fighting hole, he dove on top of it to save his buddies. Tragically, the powerful explosion killed him instantly. Ralph was a Christian known for his generosity, and his incredible sacrifice is a testament to his faith. Ralph was posthumously awarded the Congressional Medal of Honor, and in 1991, the Veterans Administration renamed the VA Medical Center in Charleston, South Carolina, after him. In addition, the Navy’s newest Arleigh Burke-class destroyer was named the USS Ralph Johnson (DDG-114). The most technologically advanced ship in the Navy, it was commissioned on March 24, 2018, in Charleston, Ralph’s hometown, a fitting tribute to this hero. Clebe is determined to keep Ralph’s memory alive; he tells the story of Ralph’s great sacrifice every time he speaks. Tara said that her dad has photos of Ralph all over his house, and growing up, she doesn’t remember a day that her daddy didn’t talk about him. For more information about the Clebe McClary Evangelistic Association, visit www.clebemcclary.com.